Tinuku ~ Alphabet's Waymo autonomous truck for the first time appeared to the public during a road test. 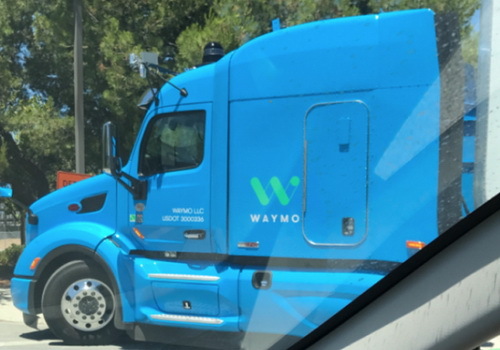 A report says that Google's Waymo is in the early stages of exploring self-guided trucks and now Jalopnik.com first peeked one of the trucks running on public roads equipped with a variety of navigation devices. The truck has a blue color using the Waymo brand and uses a series of self-driving hardware. 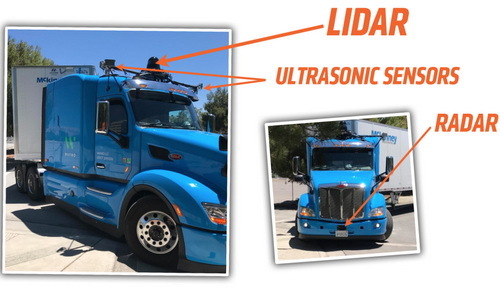 Reports earlier this month confirmed Waymo manually driving a truck on a public road to collect data and it is unclear how the project has been over the last few weeks. Photos recorded a Peterbilt 579 drove in limited capacity, but there was no official word by Waymo about it. The truck has a very similar setup on the Chrysler Pacifica minivan. 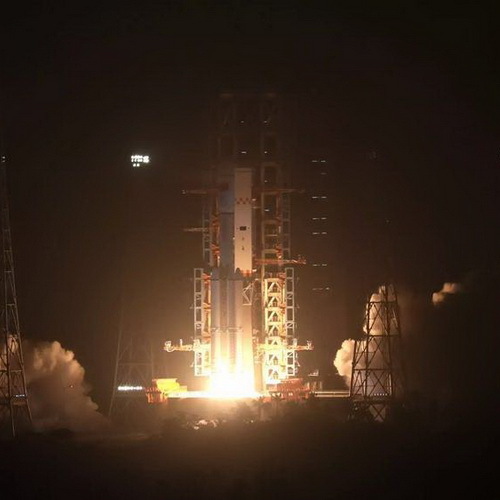 LIDAR devices, ultrasonic sensors and some other sensors are very likely installed in the truck. Alphabet Division recently signed an agreement with Lyft, a technology company for online taxi services based in San Francisco, California, to engage in project and other product development efforts. Lyft is Uber's main rival for the online taxi service. Uber who is being filed in court for the theft of Waymo's automotive car technology. Alphabet Inc. also partnered with Avis Budget Group Inc. based in Portland is a car rental company. The agreement signed there on Monday is a multi-year agreement with Avis to provide its fleet to conduct autonomous car tests for public service.